A third of people travel overseas without medical travel insurance, research shows. Around one in three British people travel overseas lacking the right level of travel insurance, a survey shows. And this is despite the average cost of medical treatment overseas totalling £747. Some 34% of people who have been abroad on holiday, for business or for any other reason say they have travelled without insurance on at least one occasion. Of these, 37% say they required medical treatment during their trips. The two most frequent health complaints among these people are broken bones and sickness bugs. The remainder of the top five is made up of infections, accidents or conditions relating to alcohol and dehydration, according to the research by vouchercloud.com. 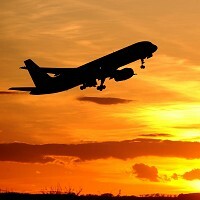 People who already suffer from an existing health condition can arrange medical travel insurance before jetting off. Policies are available for a wide range of conditions ranging from cancer to heart disease. More than two-thirds (67%) of those surveyed who sought treatment while overseas while uninsured had broken limbs and 56% suffered a sickness bug. More than a third (34%) had a viral infection, 28% suffered alcohol-related conditions or accidents and 21% had dehydration. The average amount paid out by these uninsured travellers was £747. Matthew Wood of vouchercloud.com, says there needs to be more education and awareness around the cost of travel insurance. He says that with some single-trip insurance costing as little as £15, this is a price worth paying for the peace of mind that can be provided by medical travel insurance. He adds that the unexpected can happen at any time to anyone, so travelling without insurance in order to save just a few pounds is not worth the risk. The survey was made up of 1,700 adults who had been on holiday at least once in the last year.